Is the November patch going to impact hair and clothing CC? 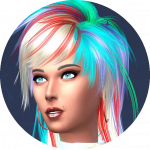 I read that the November patch is updating the game and is going to break all script mods.But all the hair and clothing CC should still work okay though? That is what the SimsGuruSquad have said. When the patch does come there will be a thread in the Gameplay Mods section that will keep track of all the broken/updated items. Thank-you! 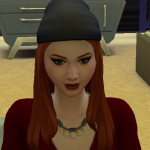 I like to go through all my CC before a new expansion comes out to clear clutter and I don't want to waste time going through my hair and clothes if they are gonna end up not working anyway. But since it's looking like they wont be affected I will. Thanks! They've specified that the Python upgrade will only affect script mods. However, there's no guarantee that other elements of the patch won't break other things, cc included, particularly if this is the pre-EP patch. 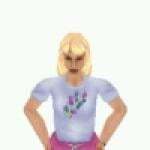 Unless a new category of clothing is added, for example, TS1 Superstar had "Fame" clothes, probably the hair and clothes will still work. However, there is never any guarantee of anything - bugs happen. Yeah - completely agree. But we were lucky with seasons: two new clothing categories and only minor damage (also thanks to S4S).